Union minister Nitin Gadkari Sunday said neither does he have any aspirations nor the RSS any designs to project him as a prime ministerial candidate and asserted that making "calculation" has never been his forte in politics or work. Amid speculations that he could be the BJP's prime ministerial candidate in case of a fractured mandate in the upcoming general elections, the senior party leader said he was not in the race and stressed that "tireless work" was his mantra. "I have not done any calculation, never set targets -- neither in politics nor in work. Mai to chala jidhar chale rasta (I follow the path wherever it leads). Jo kaam dikha karta gaya (Accomplished whatever is assigned to me). Believe in doing the best for the country," Gadkari told PTI in an interview. Seeking to rubbish speculations that he could be the "Prime Minister in the making", the senior minister made it clear that "neither there is anything like this in my mind nor RSS has any such thing. The nation comes supreme for us." "I do not see dreams, neither I go to anyone nor I do any lobbying. I am not in this race... I my telling you from my heart," the minister at the helm of key infrastructure ministries of the Narendra Modi government said. Talking further about the speculations, Gadkari, also a former BJP chief, said that he does not know what people are thinking but that he has "nothing to do with it, not even remotely". Gadkari also asserted that he and his party stood "solidly behind Modiji who is doing very good work". "Given what work we have done, I feel we will get more seats than the last time under Modiji," he said and termed the 'Mahagathbandhan' (grand alliance) of Opposition parties for the upcoming Lok Sabha polls as 'Mahamilawat' (high adulteration). Earlier this month, he termed speculations about him being in the race for prime minister as "mungeri lal ke haseen sapne" (day dreaming). On being a favourite with the Opposition members too, Gadkari remarked that whoever came to him, he believed in helping them with a positive attitude. "Whatever maximum I can do I try," he added. Last month in the Lok Sabha, UPA chairperson Sonia Gandhi along with other Congress members appreciated Gadkari for the "wonderful" work he has been doing in improving the country's infrastructure. 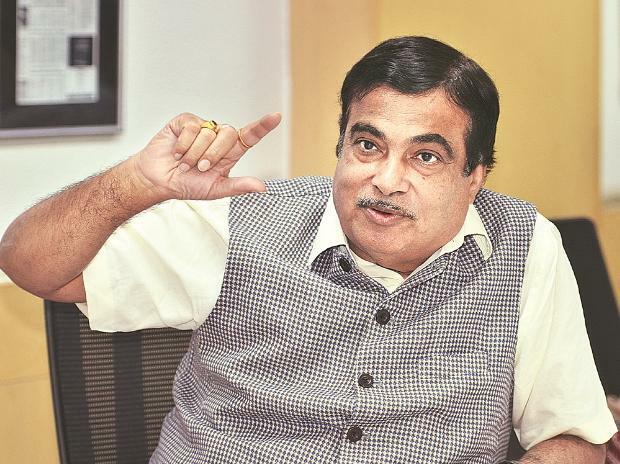 Describing himself as a "workaholic, Gadkari said massive work has been done by the central government in various sectors, including infrastructure that has seen projects worth over Rs 15 lakh crore. On whether he felt some tasks could not be completed in the current tenure, Gadkari said there were no regrets as "whatever was there worth working I did... No one is perfect and no one should think he is perfect... One should work relentlessly." Gadkari is in charge of the road transport and highways; shipping; and water resources, river development and Ganga rejuvenation ministries. While viewing politics as a "game of compulsions, limitations and contradictions", the BJP heavyweight from Maharashtra said that anything can happen in politics and cricket. He exuded confidence that BJP was going to get a thumping majority and increase its seats tally in the upcoming general elections. Listing out various initiatives of the government, he said the national health insurance scheme has benefited 10 crore families, 1.5 crore houses have been built under the Pradhan Mantri Awas Yojana and 6 crore people have got gas cylinders and that the number would go up to 12 crore. "The poor have got rid of 'chulha and koyla' (traditional stove and coal). Electricity has reached (people) under Ujjwala Yojana" and many obsolete legislations have either been done away with or amended, he emphasised. Gadkari runs 1,100 Ekal Vidyalayas in extremist-hit areas of Maharashtra. These schools have 21,000 students and 950 teachers. Besides, he runs "four hospitals on wheels" and has helped in getting artificial limbs from London and Germany for 900 people. Further, 8,000 heart operations have been done and 1.5 lakh women have been screened with advanced machines brought from the US for breast cancer. Around 3,000 women detected with cancer have been given treatment, he said. "I (also) do a lot of work in biofuel, organic farming, and work much for villagers especially poor farmers. Good days are coming in biofuel. Apart from my departments, I have done much in other things of my liking. Have got CNG kits for tractors from Poland and using it in one tractor will save Rs 60,000 in a year," the minister said. A strong supporter of biofuels, Gadkari said biofuel has also been derived from bamboo and is being tested at the Indian Institute of Petroleum, Dehradun. There are also plans for large scale bamboo plantation as part of efforts to produce biofuel. "We want to work for tribals and if bio-aviation fuel can be derived from these technologies in tribal areas, we can save Rs 30,000 crore," he said, adding that plans are on the anvil to increase the country's ethanol economy from Rs 11,000 crore to Rs 2 lakh crore. Regarding works to clean Ganga, Gadkari said during his recent visit for 'Kumbh snan' people told him that for the first time in 50 years they found the river "nirmal and aviral" (pure and with continuous flow).